Gran Canaria is a most enchanting vacation spot with a pleasant climate all year long. It is the third largest of the 8 Canary Islands after Tenerife and Fuerteventura and gave the archipela its name. The Canary Islands are an autonomous region of Spain with its own parliament and president. Located in the Atlantic 210 km west of south Morocco, Gran Canaria represents the most southern area of the European Union. The capital, Las Palmas, is a cosmopolitan city, has an international airport and its seaport. Puerto de la Luz is one of the most important and biggest in the Atlantic. With a height of 1949 m. the Pico de las Nieves towers majestically above the Cumbres, the central mountainous region of the island and offers spectacular views of the surroundings as far as Tenerife! 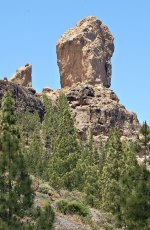 The landmark of Gran Canaria is, however, the nearby mystic Roque Nublo (1813m) which carries an 80 m.tall monolith made from basalt in the shape of a finger. Around the rock a beautiful flora can be found. The bizarre shaped rock and mountain ranges in the centre, up to nearly 2000 m. in height, divide the island into the dry sunny south where dreamlike beaches, amazing dunes, barren landscapes and naked rocks can be found, and the wet, fertile north with wooded mountains as well as valleys and plains with luxurious subtropical vegetation and rich fauna and flora. This is why one third of the island is under protection as a Biosphere Reserve by UNESCO. 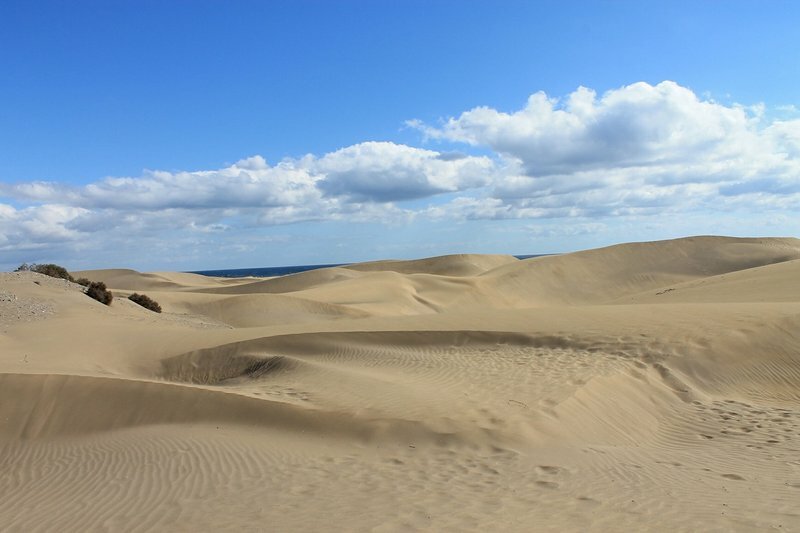 Most of the beach hotels are in the sunny south where the most beautiful beaches and the famous dunes of Maspalomas can be found. It’s true the area is very dry, but thanks to large-scale irrigation systems, one can enjoy rich, exotic subtropical vegetation at all tourist spots. 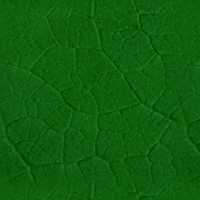 Beyond that a pleasantly freshen wind gives the climate a springlike nature. With 10 golf courses the island is the perfect golfing destination all year long. We stayed at the IFA Beach hotel at San Agustin - a lovely beach hotel with a rich and exotic vegetation around the house and nice open air seats for the meals. A drive across the island in south-north direction is an interesting and exciting experience and a "must". The roads wind through the mountains in oodles of serpentines with breathtaking acute bends, ascents and descents that make the tour adventurous. Along the way there are great vantage points and lovely small old villages and towns, like the former place of pilgrimage, Teror. 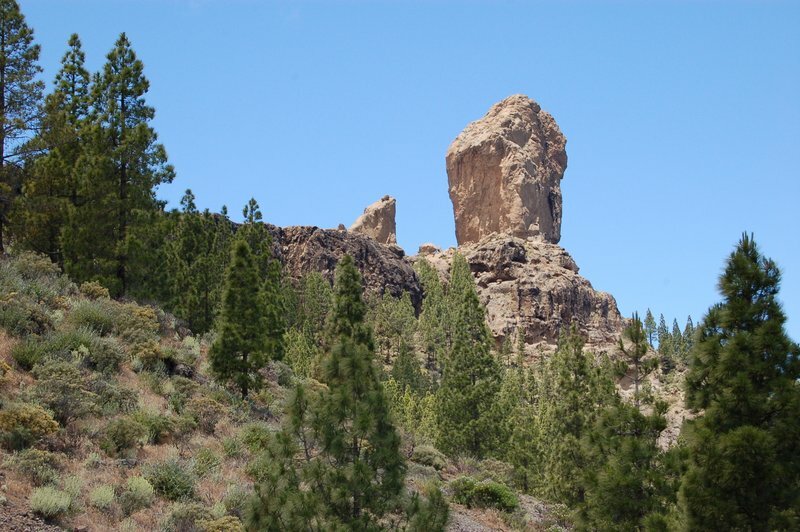 The tour may finish in the north at Arucas, the city with the dark church built from lava rocks and the highest steeple of the Canaries (60m). 12 km away from the city the vantage point “Montana de Arucas” (412m) offers great views of the coastline and the island. 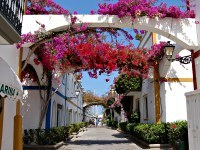 A tour to the charming Puerto de Mogan on the south-western coast is highly recommended. The lovely, small city has a fine golden beach and is decorated with an abundance of flowers. Arches with luxurious flowering bougainvillea span the small alleys and offer enchanting views against the background of the small, white houses and the blue sky. Countless beautiful yachts lie at anchor in the harbour. 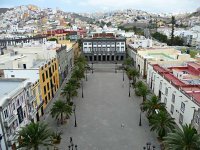 Visiting the capital, Las Palmas, is also a "must" (very good bus connection!). 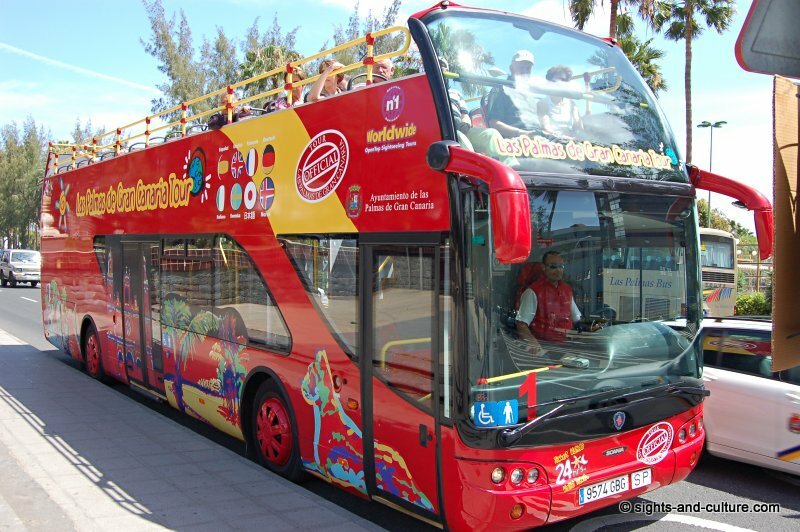 Very to recommend is the Hop On - Hop Off Las Palmas de Gran Canaria Tour. In general there are very good bus connections all over the island for all places of interest.